Hefty Foam Plates Just $1 at Dollar General! Head to your local Dollar General this week, where through 5/20, Hefty Everyday Foam Plates are on sale for $1.50! 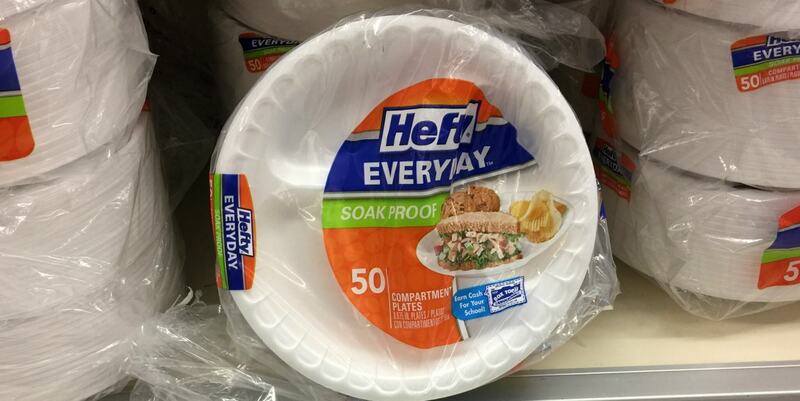 We have this $1/2 Hefty Foam Plates or Bowls printable coupon or this $1/2 Hefty foam plates coupon from the 5/14 Red Plum insert that we can use with this sale, making these just $1 each after coupon when you buy two! Mark on Better Than FREE Santa Cruz Organic Lemonades at ShopRite! Sue J on Better Than FREE Santa Cruz Organic Lemonades at ShopRite! Laura D. on Happy Easter from our Family to Yours! Linda on Better Than FREE Santa Cruz Organic Lemonades at ShopRite! mrsclaire on Happy Easter from our Family to Yours!